STEVEN CRISTOL has advised some of the world’s most innovative companies on business and marketing strategy, product strategy, and integrating the disciplines of brand management and product development. He is a strategist and product strategy advisor focused on strengthening brands to maximize their contribution to shareholder value. He uses experience tested and unique patented processes successfully implemented at multiple Fortune 500 companies including Hewlett-Packard, Charles Schwab, Motorola, and Symantec. Steven created the Strategic Harmony® method and model for optimizing product development portfolios, and the original software supporting its use. He holds a patent for the first system to align and integrate product and brand strategy, and more recently has been working to advance best practices for embedding sustainability into product development decisions. 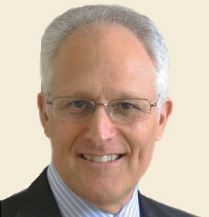 Steven is the Founding Partner of Strategic Harmony Partners as well as a partner of US Marketing Services. Since his earlier days in consumer packaged goods marketing, Steven has helped more than 40 companies – from global market leaders to rapid-growth earlier-stage innovators – build stronger brands and optimize product portfolios in a dozen industries. He is also a recognized thought leader on simplifying the customer experience. As a Free Press and McGraw-Hill business author, his marketing books have been published in 11 languages. Steven previously served as the senior brand marketing executive at Pacific Bell (now AT&T) and the chief marketing officer at Personics, a Silicon Valley venture-backed startup acquired by Time Warner. He began his career in the development finance division of Philips at its headquarters in The Netherlands, held account management positions in leading Chicago and San Francisco advertising agencies (known today as DDB Worldwide and TBWA Worldwide) and he was a professional songwriter in Los Angeles.